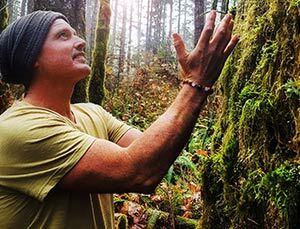 Kyle is a qualified Vinyasa Yoga, and Conscious Connected Breathwork facilitator and has held offerings in both Canada & Australia. He has woven his training from several mentors over the past 9 years to make each practice unique. Kyle’s respect for the sacred and his reverence for the land was initiated with over seven years of living self-sufficiently in the mountains of Australia’s Granite-Belt and open woodlands. Each offering echos his soulful practice of nature. Kyle is passionate about the healing and restorative value of Yoga , Body Work, Breath Therapies, Meditation and invites the sacredness of these practices into your life.